You will no longer be redirected to a company’s Irish or UK store. The new rules were approved by 557 votes to 89, with 33 abstentions. It means that nine months from now, Irish shoppers will be able to choose which website they wish to buy from without being blocked or automatically re-routed to another site due to their nationality, thanks to a new law. The new rules will mean Irish consumers will be able to purchase directly from a store based in another EU state rather than being redirected to the Irish or UK store where the same product may be more expensive. The new law also mean that online buyers will have wider access to products including hotel bookings, car rentals or concert tickets. 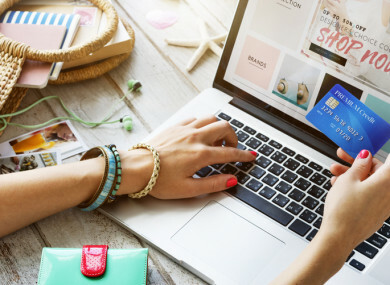 Currently, 63% of websites do not let shoppers buy from another EU country, according to findings of a “mystery shopping” study carried out by the European Commission. For tangible goods, geo-blocking was highest for electrical household appliances (86%), while for services it was for online reservations of offline leisure sector, such as sports event tickets (40%). Traders will have to treat online shoppers from another EU country in the same way as local customers. But copyrighted content is currently excluded from the new law. This means that e-books, downloadable music or online games, will not be covered for the time being. However, parliament’s negotiators inserted a “review clause” in the law, which requires the EU Commission to assess within two years whether the ban on geo-blocking should be widened to include those products. Fine Gael MEP Brian Hayes said he welcomed the piece of legislation. He said: “For far too long European citizens have been disadvantaged when buying goods or services from an online store based in another EU Member State. The new agreement means that there will no longer be barriers to access websites of companies. In addition, a consumer cannot be redirected to another country specific website without consent. Email “Online shopping is going to become a lot cheaper thanks to a new EU law”. Feedback on “Online shopping is going to become a lot cheaper thanks to a new EU law”.